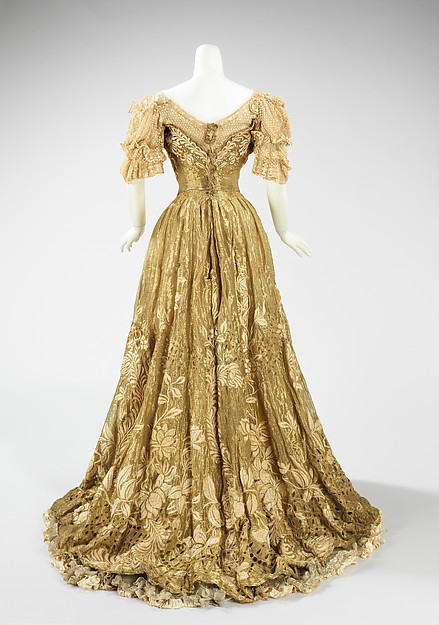 This week's Costume Spotlight is an original 1898 ballgown by Jacques Doucet. 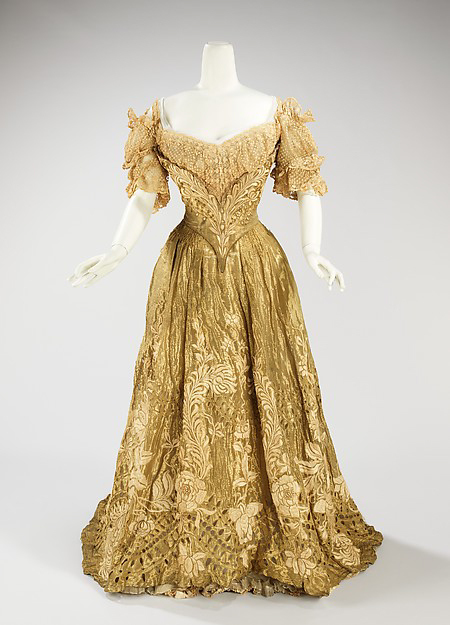 Doucet was a French fashion designer in the 19th century and early 20th century. His designs were known for making elegant gowns using translucent fabrics and pastel colors. 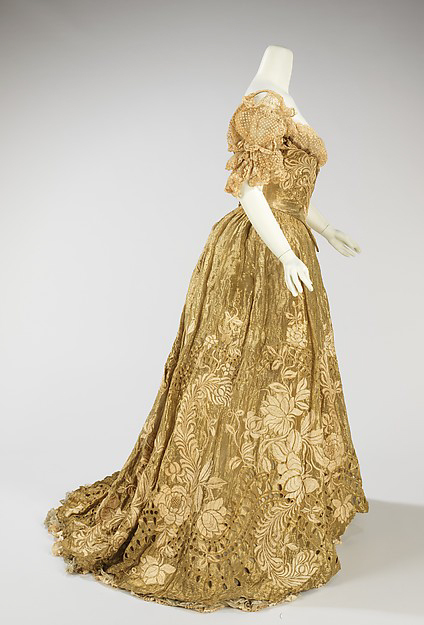 This particular dress is from 1898-1902 and is made of silk, metal, and linen. 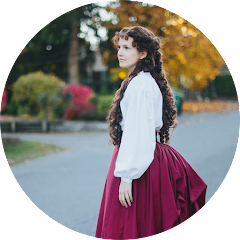 The cut of the dress is typical of the era, with a narrow waist, small bustle, and flared skirt with a slight train in the back. From the Met Museum, "the material used is of the finest quality, extremely delicate and dramatically embroidered. The cut of the bodice is quite seductive, enhancing the silhouette." Rate between 1-10 in the comments and let me know your thoughts.